A Play-school bag will help make going to school more exciting for your little ones. Art smocks don't have to be daggy and your budding little artist will be ready to create in style wearing a custom-made, original smock of their own. 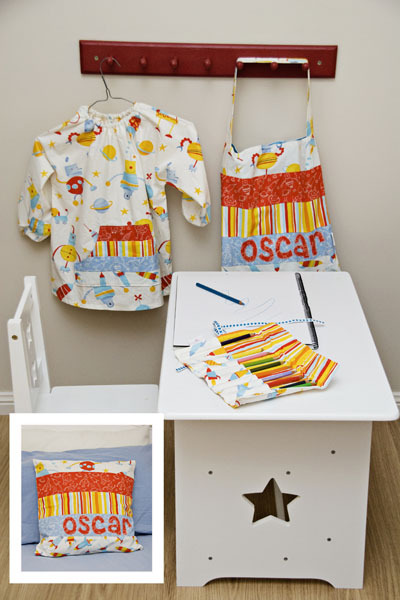 Whip up a quick pencil roll, library bag and coordinating rest pillow to complete the set!